This is about my great weekend on the pegs. It started Friday when I found the Deadpool truck for my son. Then yesterday while gathering supplies I scored those two FnF R34s, plus this Porsche. This closes a gap that started at the same time as my new collecting hobby. When I first started out, I was in denial. Am I really doing this? But I’m old! Well, 39. Old-ish. 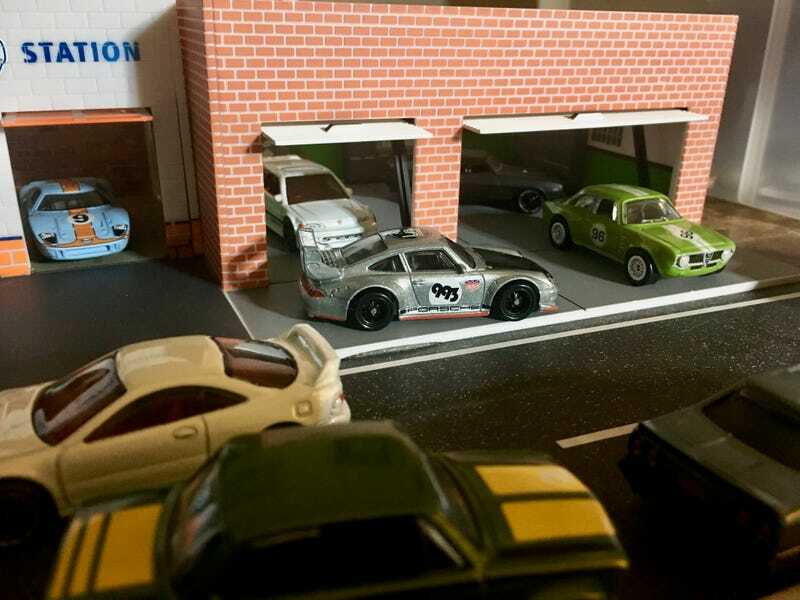 And it was with that mindset that I spotted the Eurospeed Alfa and the Outlaw Porsche on the pegs at Target. And I balked. A few days later I realized my mistake, and was back at Target only to discover that they were all gone. I went ahead and ordered the Alfa on eBay (I was new and foolish!) but again, I balked at the Porsche. This week, the Eurospeeds started showing up at Target again. But it wasn’t until the second Target that I found the lone Porsche that hadn’t been scooped up yet. This time, no hesitation. It came home with me, and I’m very happy I didn’t hesitate a third time. It’s gorgeous. I now have all the cars from that set that I want. Whee! Trade ya for some Silver?